How Strange Does the American Colony Story Get? 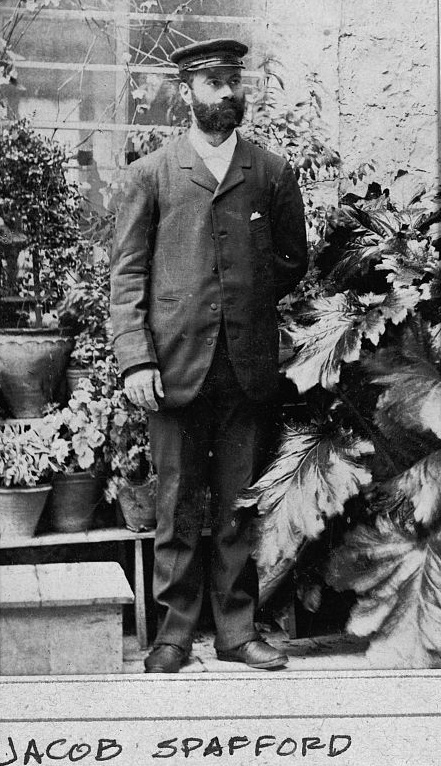 ﻿Meet Jacob David Eliahu, born in 1864 to Turkish Jewish parents in Palestine. Jacob and his parents were converted to Christianity by the "London Jews Society," a missionary group that started in London's East End and established a mission hospital in Jerusalem in the mid-1800s. Jacob was born in Ramallah where his mother went to escape a cholera epidemic in Jerusalem. to be in the middle with a dark shirt. 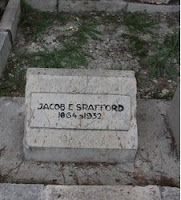 At the age of 17, Jacob went to live with the founders of the American Colony, Horatio and Anna Spafford, who had just arrived in Jerusalem. The Christian utopians, who had tragically lost five children to shipwreck and disease, adopted Jacob. 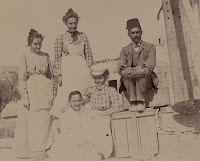 Jacob appears in numerous Spafford family pictures and is credited with using his many languages (English, Spanish, Swedish, Arabic and Hebrew) and business skills to guide the American Colony community through an incredibly difficult period in Palestine marked by war, famine, and a locust plague. According to the Library of Congress, "Jacob continued to join [Jewish] relatives for Jewish holidays and observances while serving in a long and highly respected leadership capacity in the American Colony." 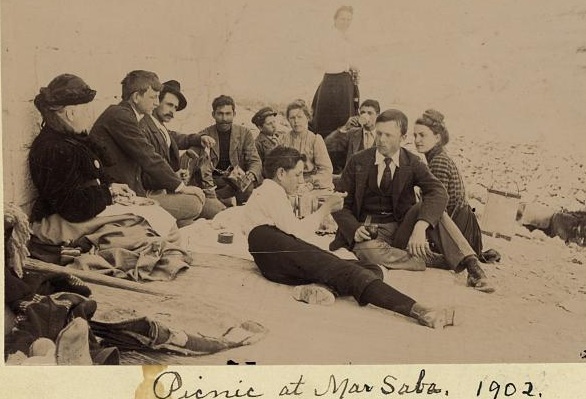 As a "local," Bible-steeped young man, Jacob was certainly familiar with the man-made underground water channel discovered in the 1830s from the Gihon Spring to the Silwan pool in Jerusalem. But it was young Jacob who is credited with recognizing beneath centuries of silt an ancient chiseled tablet on the wall that dated the tunnel to the 8th century BCE and confirmed the massive engineering feat of King Hezekiah. 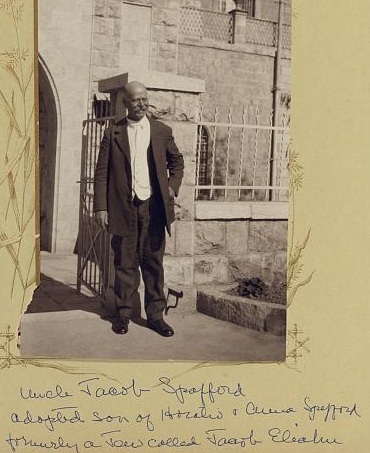 Jacob Eliyahu Spafford was killed in a car crash in 1932 and was buried on Mt. Scopus. formerly a Jew called Jacob Eliahu." Seeing things today, the difference with life back then is mind-boggling. It's actually impressive they were able to get along fine without such things as advanced technology, the internet, and a proper insurance provider, like prudential life.